We generally think of the National Science Foundation as a reliable (albeit highly competitive) source of federal funding for all of basic research, including herpetology. But we can’t accept that as a given. NSF’s budget and aspect of its focus and direction are determined by Congress and there are always pressures and threats to cut the budget or to change NSF’s mandate to something that is more applied, more revenue driven, or more in line with interests other than quality science. SSAR has joined 48 other biological organizations in signing onto a letter about the future of NSF drafted by the American Institute of Biological Sciences and directed to the Senate Commerce Committee. In so doing we are making it clear that we believe that the priorities of the National Science Foundation should be set by the Foundation, not by Congress, and that science and the country are well-served by an NSF that support of pure science, in all areas of research, based on the peer-review system. Click image to download a PDF of the full letter. Adcock, Zachary C., Andrew R. Maclaren, Shawn F. McCracken and Michael R. J. Forstner. 2015. Geographic Distribution: Sceloporus consobrinus (prairie lizard). Herpetological Review. 46 (2): 218. Ariano-Sánchez, Daniel. 2015. Geographic Distribution: Tantilla vermiformis (Hallowell’s centipede snake). Herpetological Review. 46 (2): 221-222. Astroza, Margarita Ruiz de Gamboa and Marcos Ferrù Gonzaliz. 2015. Geographic Distribution: Liolaemus nigromaculatus (many-spotted tree iguana). Herpetological Review. 46 (2): 217. 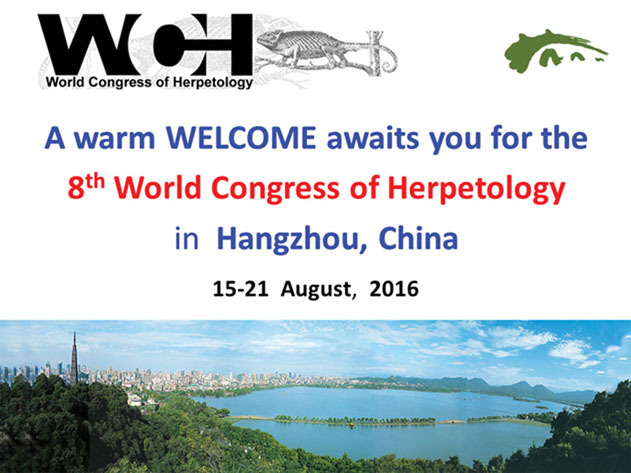 The 8th World Congress of Herpetology (WCH8) will be held 15-21 August 2016 in Hangzhou, China. The Organizing Committee is currently inviting proposals for symposia at WCH8. Each symposium will last two hours, with eight 15-min presentations. topic. The selected symposium will be announced by 31 August 2015. April 30th, 2015 is the deadline for submission to the 2015 SSAR Student Travel Awards. Please see here for more information. 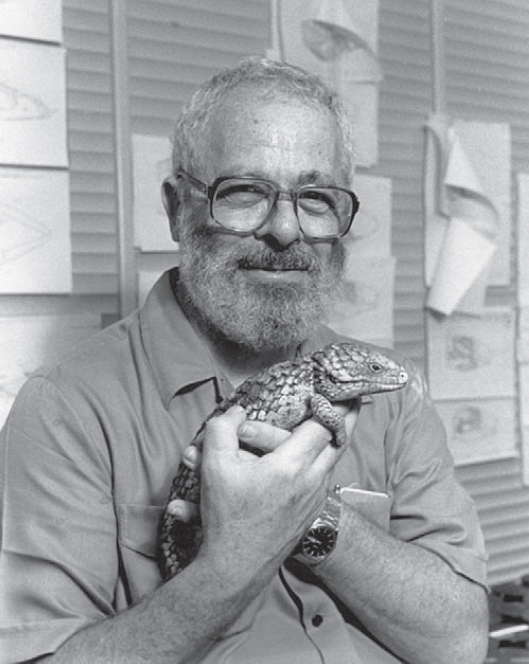 The Jones-Lovich Grant for Southwestern Herpetology is available for 2015 and awards $1000 to one student working in the southwestern US or NW Mexico. Applications are due 9 January 2015 (Friday) at 5 pm. For more information and to download the application see the Herpetologists’ League Student Awards page. The Society for the Study of Amphibians and Reptiles, the American Society of Ichthyologists and Herpetologists, the Herpetologists’ League, and the Canadian Herpetological Society have submitted a joint letter to the U.S. Fish and Wildlife Service in response to recent discoveries that Batrachochytrium salamandrivorans could have a significant effect upon some North American salamander species. For more information, you can also read an op-ed in the New York Times by Karen Lips and Joe Mendelson or the recent study published in Science.